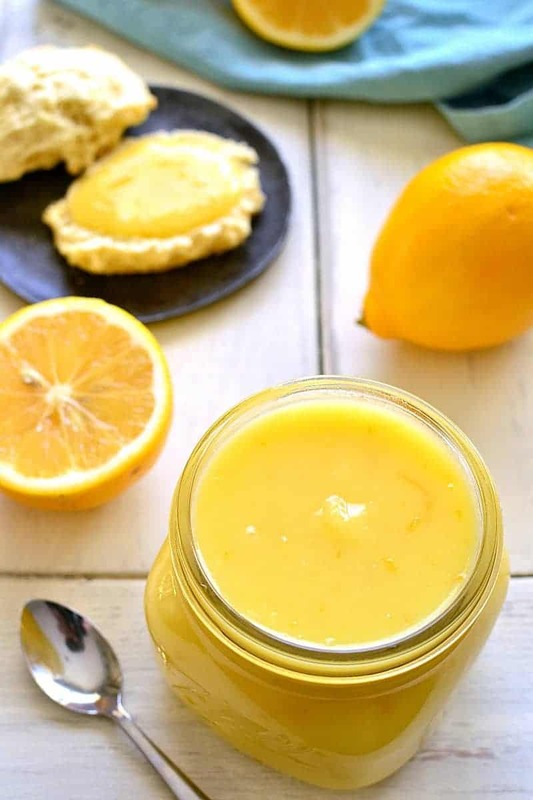 Homemade Lemon Curd is sweet, creamy, and full of fresh lemon flavor. Perfect for spreading on waffles or scones, and a great way to add a fun twist to your favorite recipes! So have I ever mentioned to you my deep and undying love of breakfast? I’m not sure what it is….but to me, nothing beats an amazing meal first thing in the morning. That said, most mornings I don’t have time for the breakfast of my dreams. Most mornings, I stick with my usual: coffee and eggs. But let me tell you. I look forward to weekends like none other…..and mostly for the food! Because on weekends, you better believe I’m making a BIG breakfast. Scrambled eggs with veggies and cheese, crispy bacon, homemade waffles or pancakes or french toast….these are some of our favorites. And, of course, coffee. And every now and then, because I love breakfast so much, I decide to get a little nuts. Yes, I’ve been known, from time to time, to pull out the cherry pie filling and whipped cream, or the hot fudge and marshmallows, or the Nutella…..and turn our breakfast into a little bit more of a celebration. I mean….clearly a big, delicious breakfast is something to celebrate….right? Which is probably why I’m SO excited about this homemade lemon curd. Because not only is it the perfect addition to our weekend breakfasts (lemon curd on top of waffles? Yes, please! ), but it’s also perfect for weekday breakfasts, snacks, or even desserts! A few of my favorites? Lemon Bar Muddy Buddies, Lemon Shortbread Parfaits, or Creamy Lemon Dip! 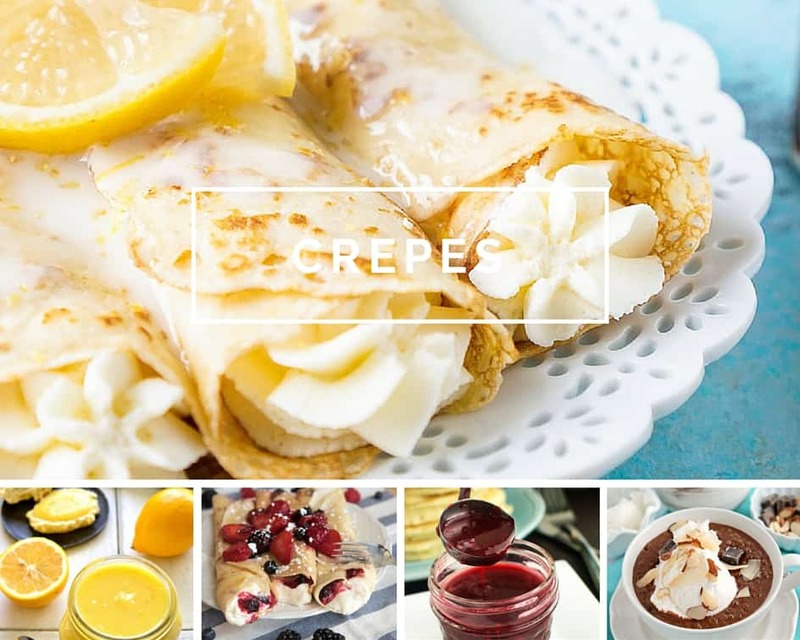 Best of all, it comes together quickly with just a few basic ingredients….and tastes amazing! 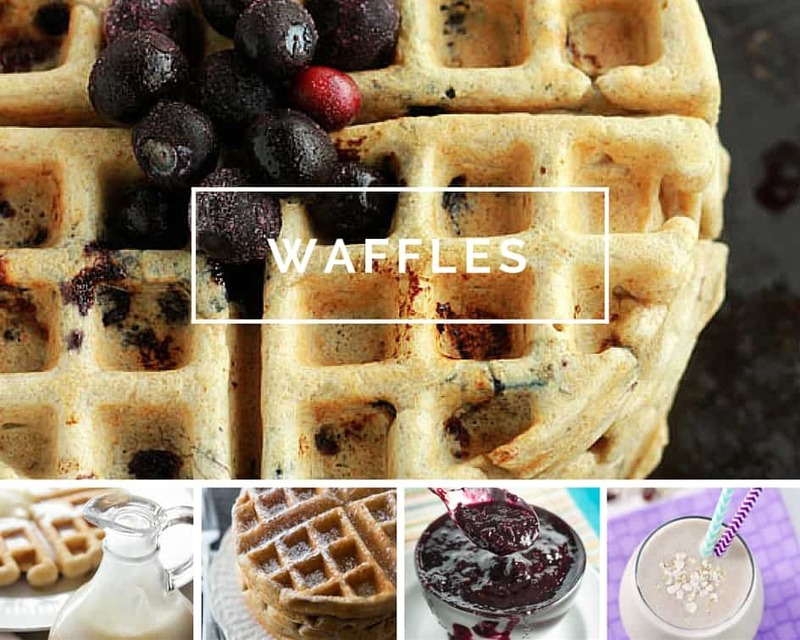 Yet another reason to look forward to weekend breakfasts – or heck – who am I kidding? I’m going to be slathering this stuff on EVERYTHING. Combine lemon zest and sugar in a blender or food processor; pulse until zest is finely minced. Add eggs, lemon juice, lemon extract, and salt; blend until combined. Pour mixture into medium saucepan and cook over medium-low heat, stirring occasionally, until thickened (just below simmer - 170 degrees F). Continue stirring 2-3 minutes after mixture thickens. Remove from heat and transfer to a wide mouth glass jar with a lid. And soon, you can too! 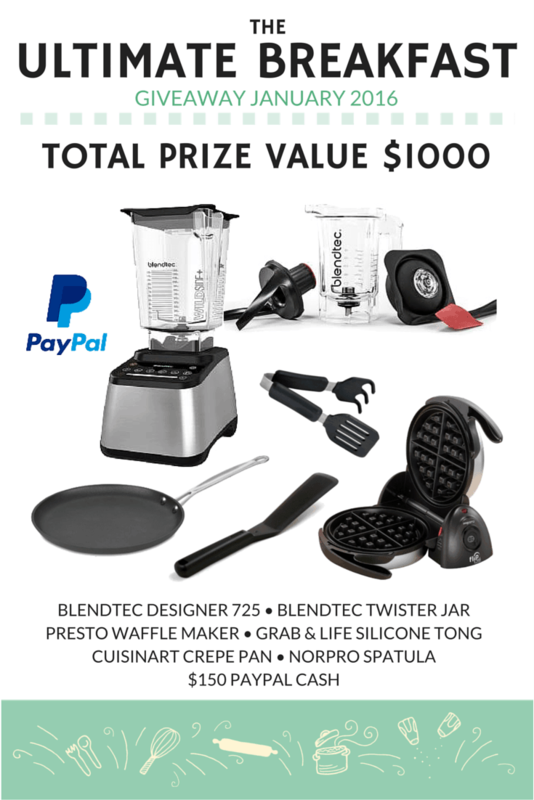 Because I’ve teamed up with some of my favorite blogging friends to bring you this Ultimate Breakfast Giveaway – the chance to win a Blendtec Designer 75, a Blendtec Twister Jar, a Presto Waffle Maker, a Cuisinart Crepe Pan, and MORE! 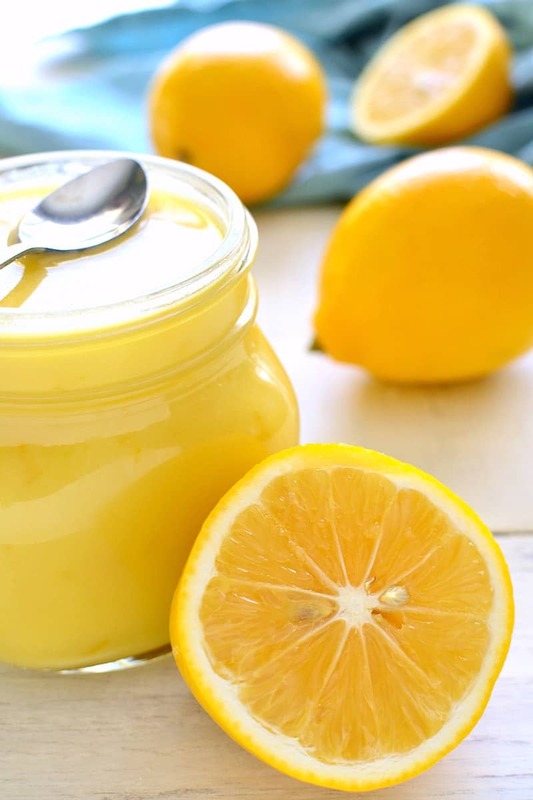 Everything you need to make homemade lemon curd….and the breakfast of your dreams. Enter to win below, and then be sure to check out all the other delicious breakfast recipes! Good luck! Why have I never made homemade lemon curd? I need this in my life asap!! I think I’d put it on some crepes first! This curd looks like perfection! I can’t wait to try it out and use it with both breakfast and dessert recipes! I love, love, love, LOVE everything lemon. Lemon curd is awesome! The great thing about it is how versatile it is and how many things it can go on.. waffles.. pancakes.. biscuits… a spoon in my mouth? Hahah.. kidding. Sort of. Thanks so much for participating in my giveaway, I’m so happy to have you! Lemon Curd is one of those things that I end up eating on everything (or just with a spoon). I’ve never made my own and can’t wait to give this recipe a try. This recipe is absolutely lovely- I could eat the entire jar!! I love breakfast, too! Especially on the weekends, it’s just the perfect thing to wake up to in the mornings. 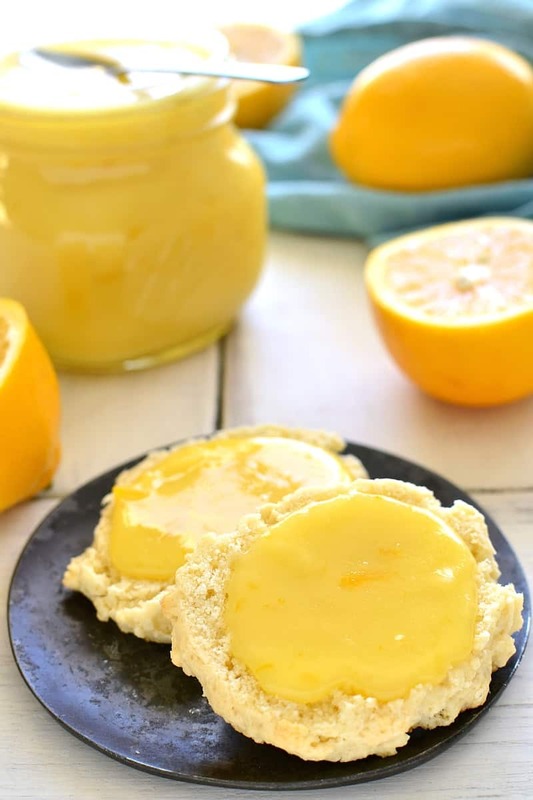 This lemon curd sounds SO good! I love the pretty color and how easy it is to make! 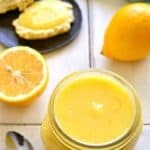 I LOVE lemon curd but have never attempted making it at home! That might need to change! This looks incredible! I love lemon and lemon curd is pretty amazing! Thanks for sharing this delicious recipe! Your lemon curd looks absolutely fantastic. For some reason I have always been afraid of making it. Not anymore. What a lovely recipe! 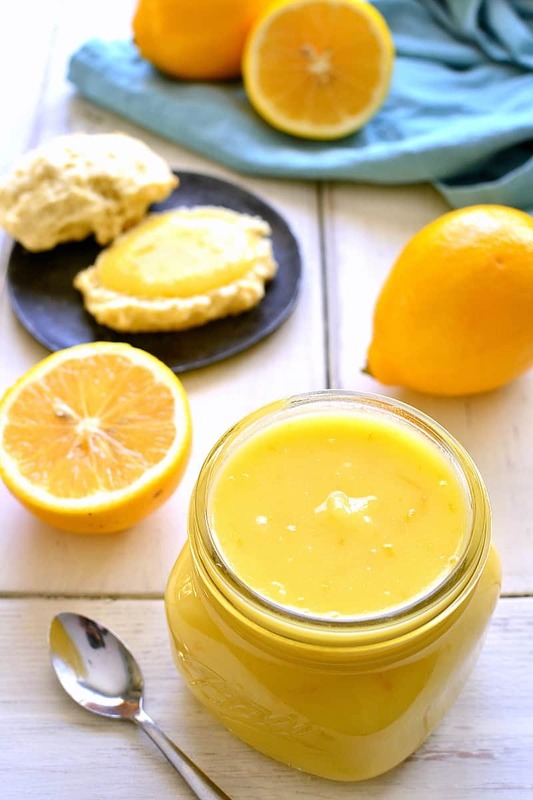 I just love a good lemon curd, & it is so easy to make too! 🙂 This would be perfect over homemade waffles. 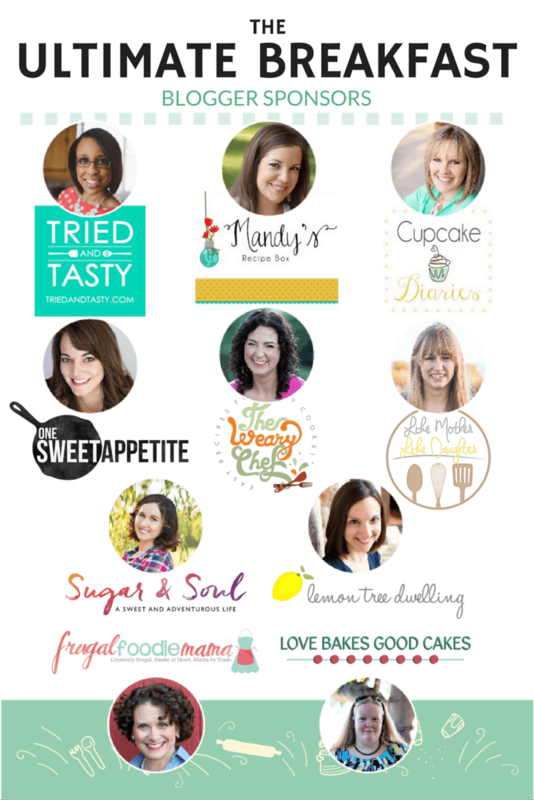 Your blog, and lemon curd go hand in hand. I love this! How I miss The Meyer lemon Tree In my former back yard! Lemon curd each year was a given, such a vibrant color and taste. Perfect on a little biscuit to calm my sweet tooth. How long does this last in the fridge??? I can’t wait to try it! Ah, that color is gorgeous! This curd looks amazing. Can’t wait to try!